Rolls-Royce said it has won an order to deliver its first EPA Tier 4-compliant propulsion systems from MTU to WETA (Water Emergency Transportation Authority) for installation in three brand-new catamaran ferries. The first of the three high-speed ferries is expected to enter service on the San Francisco Bay in late 2018. The San Francisco Bay is subject to special environmental protection. For the three 44-m catamarans, MTU (part of Rolls-Royce Power Systems) is to supply in total six 16V 4000 units, six MTU-built SCR systems and six ZF gearboxes. All three vessels will also be equipped with MTU BlueVision ship automation. Each engine will deliver 2,560 kW/ 3,435bhp (1,800 rpm), enabling the catamarans to reach speeds up to 34 knots. 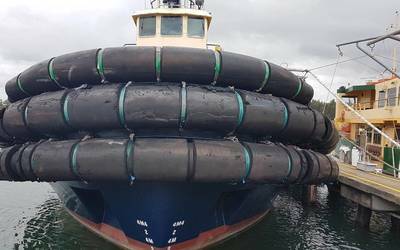 The ferries are being built by the Dakota Creek Industries shipyard, and since they are destined for service in the Bay of San Francisco, the engines that propel them will be subject to the EPA Tier 4 emissions standard which came into force in the U.S. on January 1, 2016. This demands substantially lower nitrous oxide, particulate and hydrocarbon emissions compared with the previous emissions stage. “The system solution that MTU offers satisfies all our criteria with respect to emissions, space requirement and performance,” said Nina Rannells. 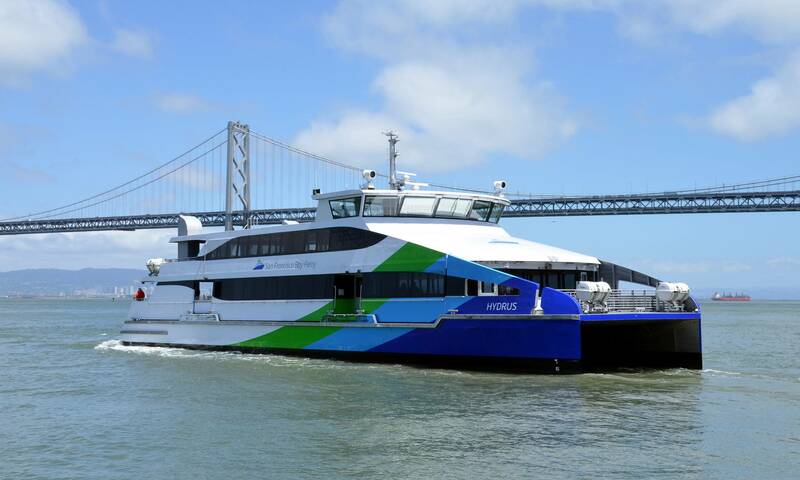 WETA’s current ferry fleet is comprised of 14 high-speed catamarans that provide service via nine terminals between the cities of Vallejo, San Francisco, Alameda, Oakland and South San Francisco. Since 2012, passenger numbers have grown by 78 percent and now reach the 2.7 million mark. The ferries are deployed to relieve the traffic on Bay Area bridges. “We are experiencing unprecedented growth in ferry ridership,” said Nina Rannells. 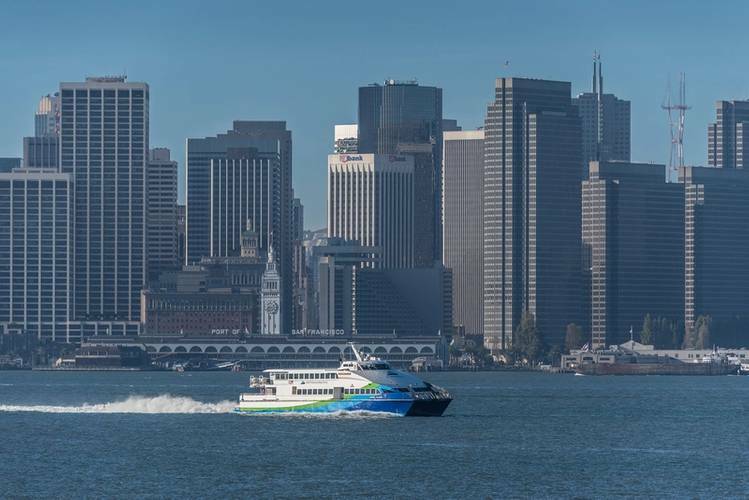 “As our Bay Area population expands and traffic congestion continues to worsen, more and more people are looking for a convenient and enjoyable means of transportation, and they’re turning to ferries.” In 2016, WETA adopted a Strategic Plan that outlines a vision for 44 vessels, 16 terminals and a 740 percent increase in peak capacity by 2035. 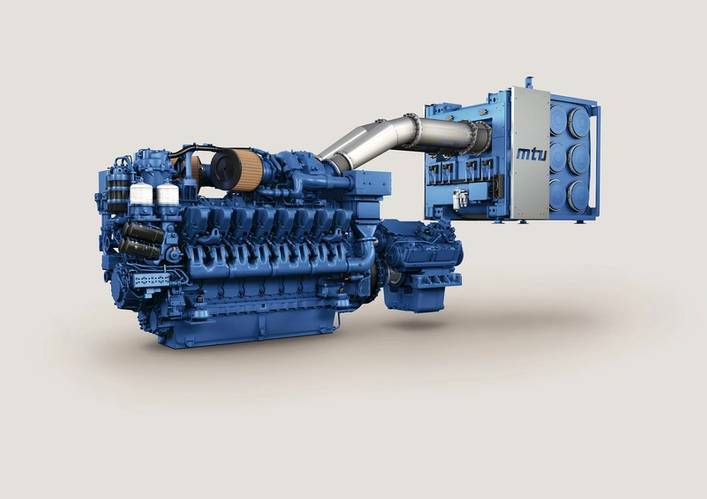 Scheduled for delivery to WETA at the end of this year is MTU’s propulsion system as launched in 2016, which integrates Series 4000 diesel engines with SCR systems for exhaust gas after-treatment for compliance with the IMO III and EPA Tier 4 emissions standards. Advances in turbocharging, internal combustion and fuel injection, combined with the new SCR system, have facilitated a 75 percent reduction in nitrous-oxide emissions compared to IMO II and a 65 percent reduction in particulates compared to EPA Tier 3, the manufacturer said. There is no need for an additional diesel particulate filter, and fuel consumption is up to 5 percent lower than on the predecessor engine. Depending on the number of cylinders, power output ranges from 1,380 to 3,220 kW.